What are the various logistics components in SAP? 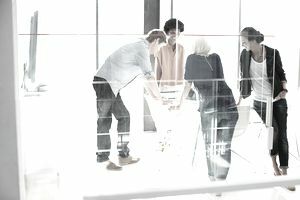 SAP, a leading standard business application software, delivers scalable solutions to help customers advance industry best practices, respond to dynamic market conditions and maintain competitive advantages. Materials Management (MM) – this cornerstone component encompasses the purchasing functionality, inventory movements, accounts payable and the material master file, which contains information on all materials and services within a company. Sales and Distribution (SD) – this function incorporates processes ranging from customer orders to the delivery of the products, and oversees pricing, packaging, and shipping. Quality Management (QM) – this quality control function entails the inspection of finished products. Plant Maintenance (PM) – this function maintains equipment used in the production process, focusing on preventive maintenance. Production Planning (PP) – this operation focuses on capacity planning of a company’s production, master production scheduling (MPS), material requirements planning (MRP) and the shop floor functions involved in producing finished products. Customer Service (CS) – this function tracks warranties and helps manage the process of repairing broken goods that are sent back to be fixed. Warehouse Management (WM) – this process helps management companies accurately manage inventory and maximize storage capacity. Additional functionalities that integrate with logistical operations include: Transportation Management, Batch Management, Handling Unit Management, Logistics Information System (LIS), Variant Configuration, Engineering Change Management, Project Systems (PS) and Environmental, and Health and Safety (HaS). Enterprise Resource Planning (ERP) systems can help companies optimize supply chains, to make sure customers receive their products in a timely and economical manner. Therefore, investing in ERP systems can help companies run smoothly and attain maximum profitability. This Logistics Function article has been updated by Gary Marion, Logistics and Supply Chain expert.